I know that this mascara has been reviewed more times than any other beauty product out there, (thats a Katie Fact lol), but I wanted to put my two sense in seeing as how I finally caved and purchased this only to realize this is now my favorite mascara ever!!!! I purchased a Macy’s exclusive kit from Benefit that came with this mascara, Hoola Bronzer, and ____(something else)_________, for $17.00. Everything that this kit came with is in trial size, and I can say I will be running out and purchasing this mascara ASAP. 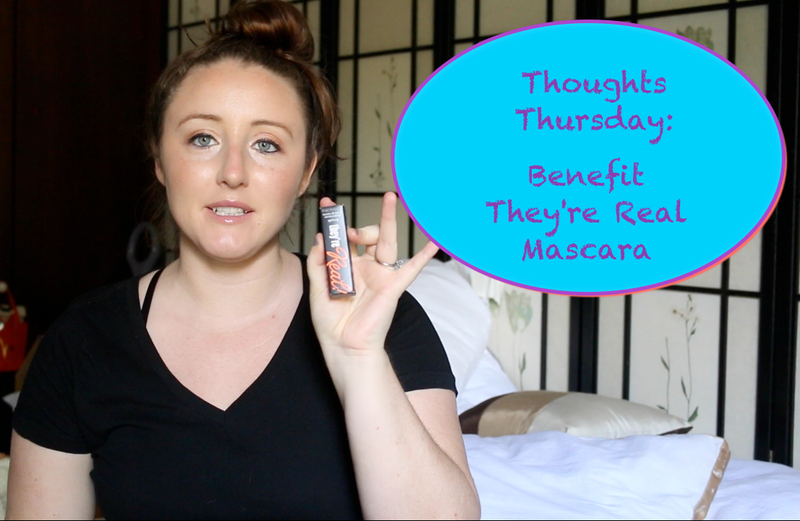 In my opinion, its like the greatest mascara ever known!!! I think if Maybelline The Falsies and L’Oreal Telescopic had a baby it would be Benefit They’re Real. I applied this 4 times and got minimal clumping with maximum volume and length. I would recommend this to anyone ready to purchase a new mascara, but I would warn this is a “wet” mascara so when you apply allow to dry fully before applying your bottom mascara. You can see my full review video below……….